By Michael Jackson. Arranged by Mac Huff. Pop Choral Series. Anthem, Motivational, Pop/Rock, Show Choir, Inspirational, Rock, Ballad. Octavo. 20 pages. 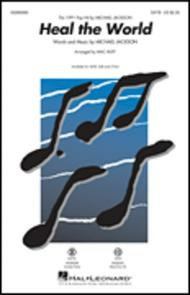 Published by Hal Leonard (HL.285093).